WARNING: This is going to be incredibly long! Without a doubt, Nashville was the most amazing trip I’ve ever been on. It was everything I wanted it to be and more – the live music, the restaurants, shopping – just everything about it was amazing. I’m not a huge club person so the thought of going to Vegas has never really appealed to me, but I’m convinced that Nashville is my Vegas. If I had an opportunity to go there several times I would be so incredibly happy. 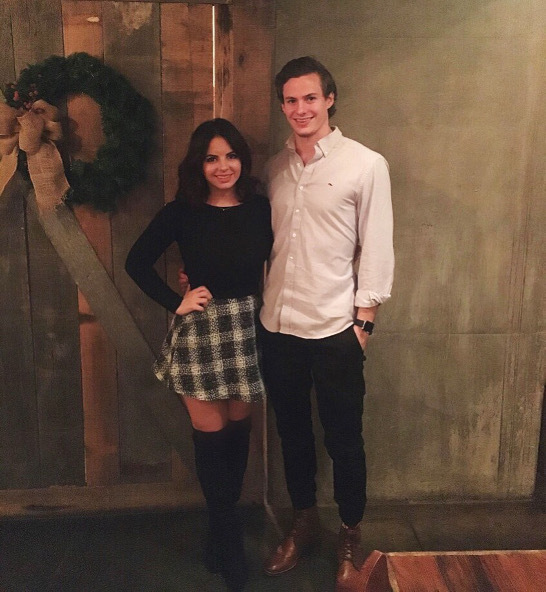 A little back story about the trip… randomly enough, probably just about the first or second time I ever met my boyfriend (he came to my birthday party through mutual friends), we made a bet about whether or not I could get to 10K Instagram followers. The stakes? If I could do it, he would pay for the flights and I got to choose the destination. If I couldn’t, I would pay for the flights and he would choose the destination. I immediately told him that I could do it so he should be ready to go to Nashville because there was nowhere else I would want to go. I didn’t think too much of it at the time, I mean, we had just met. But my life changed that day and that little bet gave me the opportunity to go on my dream trip with the most amazing person I’ve ever met. Long story not very short, I owe a HUGE thank you to each and every one of you who has followed me on this amazing journey and more, helped me win the bet.  I don’t want to bore you with every detail of the trip – although I can and would if you’re interested HA! I’ve literally talked people’s ears off about Nashville so I certainly won’t hold back if you have any questions. I’ve put together a list for you of my Nashville favorites and things that I think you should definitely do if you have a chance to go there! 1. The music scene I can’t say enough about the music scene in Nashville. Being able in to walk in to a bar, restaurant, etc. and just sit and listen to amazing musicians for hours is just incredible. One of my most fun days is when Luke and I just sat in a bar for hours and just had a few drinks while listening to music. If you’re heading to Nashville, I would recommend not planning every detail of your trip and just letting some details happen naturally. You’ll love just adventuring on Broadway and checking out different local spots with amazing music. 2. 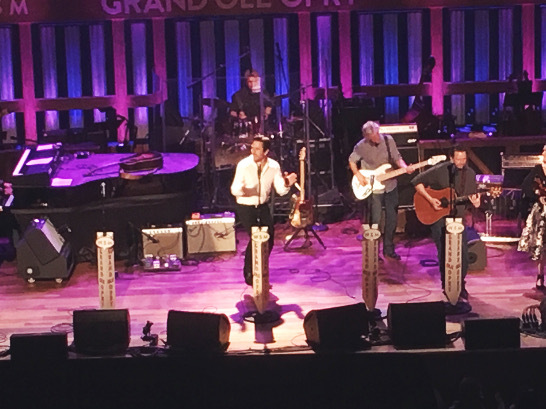 Live Shows A family friend had recommended to me that if I was going to Nashville we should try to see a show at the Ryman Auditorium and I’m so grateful that he did. Seeing as show at the Ryman was such an incredible experience. I’ve been fortunate to see some of my favorites in concert, Beyonce, Sam Hunt, Shania Twain (yes, really haha), etc. But seeing a show at the Ryman hands down tops every single one of them. 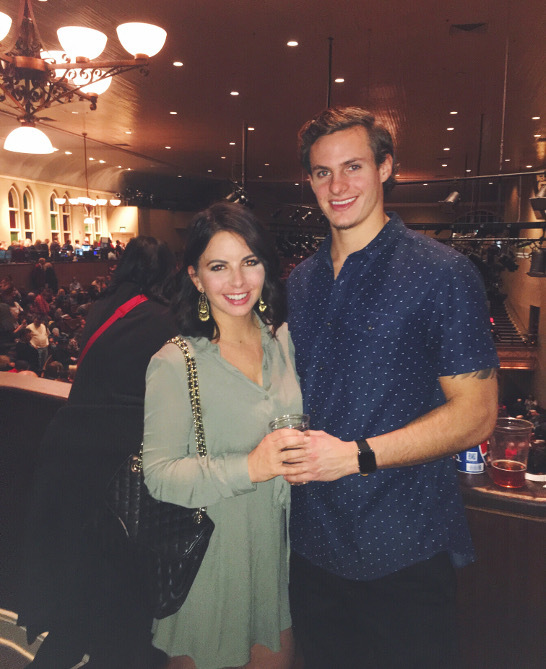 I opted for over the knee boots for our second night at the Ryman to see the Grand Ole Opry! We bought tickets to Dave Rawlings Machine on a whim and found them for super cheap on StubHub. We had never heard of them but figured if it was awful we could just leave early since we hadn’t spent a ton of money on the tickets. Hands down, best concert of my life. We also ended up getting tickets to see the Grand Ole Opry at the Ryman as well, which was such a cool experience. 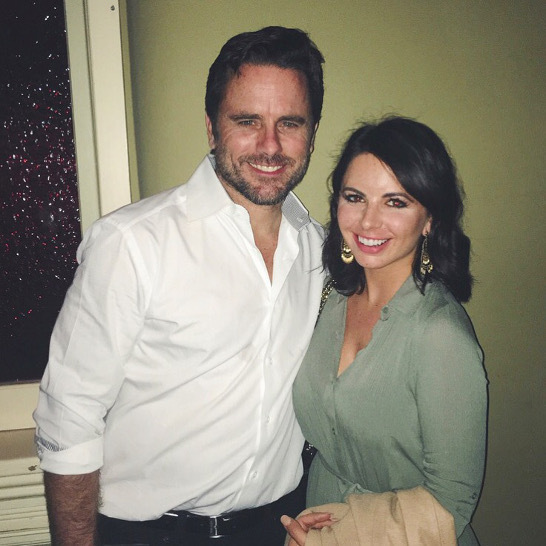 One of the performers of the Grand Ole Opry was Deacon (Charles Esten) from Nashville and I was able to meet him after the show – total fan girl moment haha! I could go on and on about the Ryman but please just try to work this in to your trip if you can, you won’t regret it! The food in Nashville was great! We were able to hit a ton of different restaurants – here are a few of my favorites: • Merchants – a delicious restaurant right on Broadway with a ton of history! My look for our first night in Nashville at Merchants! • Southern Steak and Oyster – great lunch spot, delicious drinks! I love me some Zydeco! • Farm House – delicious and farm fresh, yum! 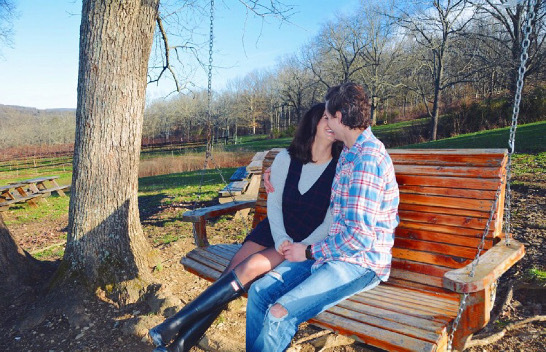 Date night at the Farm House! • Margaritaville – okay I know this is so touristy but have you ever had their nachos!? Also, the music here is great. It’s a good place to grab a seat near the window and eat, drink, listen to music and people watch – what else could you ask for? 4. Tours/Museums I’m not much of a tour person, but somehow they just do it right in Nashville and I loved ever tour we went on and museum we visited. As a huge Johnny Cash fan I loved our first museum! The Johnny Cash Museum was pretty cheap to get in to and full of amazing costumes, history and music all relating to Johnny and June. My outfit for our first full day in Nashville! On our second day in Nashville we did a bunch of tours in one day, our second tour was a recommendation from my mom, Tommy’s Tours brings you all around Nashville (and surrounding areas) and shows you where all of the celebrities live. Tommy, a local, is full of history about Nashville and he’s so funny! We also got to stop at the Bluebird Café on this tour! I highly recommend this tour – try to book this one in advance. Next we did the Country Music Hall of Fame and the Studio B Tour – best tour in Nashville by far! Basically, you could spend all day at the Country Music Hall of Fame. There is basically everything in this museum, history, pop culture, costumes, fun facts and so much more. Definitely don’t miss this if you’re in Nashville! The Studio B tour is through the Hall of Fame and takes you to the recording studio where Elvis recorded just about all of his songs. It was so cool to be in the same room, sit at his piano and hear un-edited recordings from here. At the famous Bluebird Cafe! At Elvis' piano inside Studio B! Look at this picture of Luke standing next to one of Keith Urban's outfits - so crazy! 5. Shopping Nashville is great for shopping but I would recommend venturing outside of downtown for some good spots. One day we walked just a little bit outside of downtown to hit some boutiques and stop at Urban Outfitters. I would also recommend just taking an uber to Green Hills, there are some boutiques there and the Green Hills mall is a great place to shop! Fun extras! 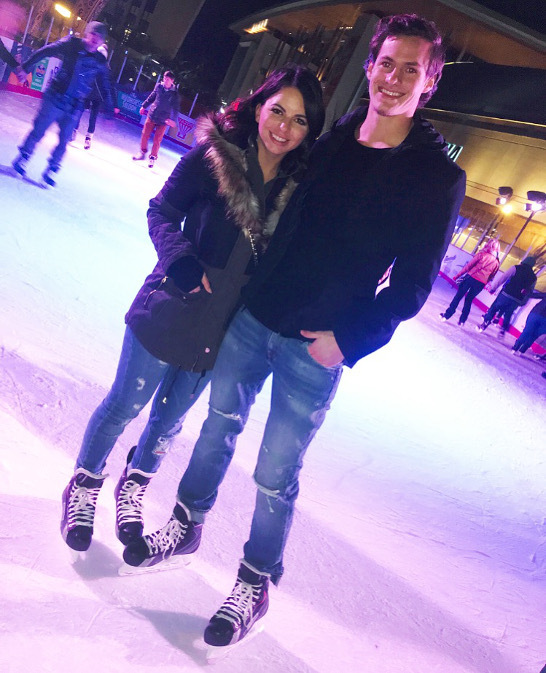 I got to have my first ice skating experience in Nashville – so amazing – and I didn’t fall once (luckily)! We also got to go the Broken Spoke Ranch – a private home/event spot right outside of Nashville. 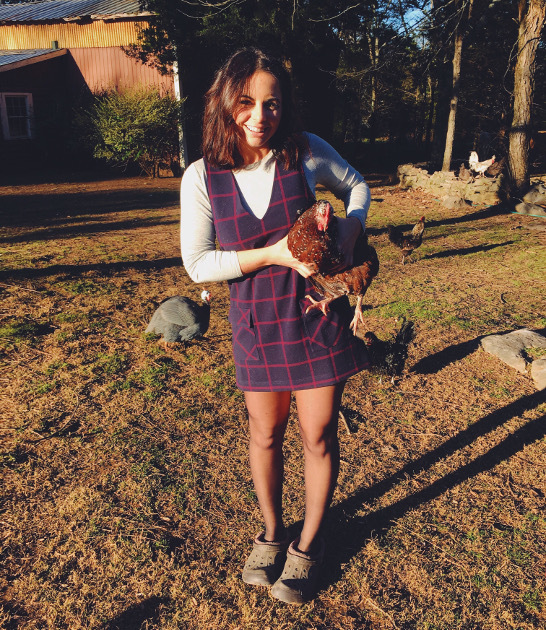 The home was absolutely stunning and had live animals, Luke just loved the dogs and I got to hold my first chicken! Thank you for the most amazing trip, my love!